Food recipes for Diwali are very much in the air. As Rakshabandhan has gone leaving a trail of mithai boxes at home, soon it will be time for Diwali and the same story of excess mithai in the fridge. And I am sure all of us are feeling replete and not wanting to eat anything heavy for years! But the fact remains that there are these boxes of sweets in the fridge that you would rather give away, and packet of fried stuff in the snack bins that you don’t feel like eating right now so what does one do? 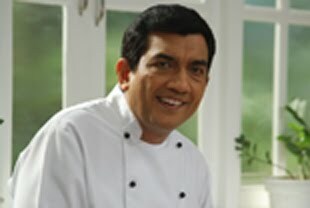 In fact, what happens now as practice could well become your food recipes for Diwali in a couple of months’ time! Dry fruits will keep for quite some time tucked away in the corner of the fridge. In fact as the weather turns cooler, convert some pistas, almonds and cashewnuts into Dry Fruit Chikki. If you have boondi ladoos, use as stuffing in paranthas and call it Boondi Laddoo Parantha. The kaju katli can well be used to thicken phirni, it will give a nutty taste too, and you can make something as exotic as Barfiwali Chocolate Phirni. The pedas, as they are made with khoya, can be whisked with a little thickened milk and frozen in moulds to give you Kesar Pista Kulfi. The plain barfis can be grated and used as stuffing in paranthas, yet again, and remember to serve with rose syrup and rabdi. I am sure your thoughts are going towards the namkeens too! I would convert the chivdas into bhels, the kachoris into chaats, the ganthia into a sabzi with a gravy of onions and tomatoes, crush the chaklis and mix it with crushed khakhras and serve this new farsaan with élan! As for those karanjis and ghughras, they are best consumed either fresh or then ‘refreshed’ with a dash of butter and baked for ten minutes. 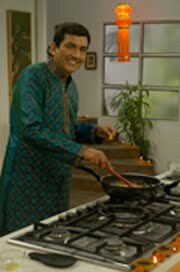 Well, here is wishing you a comfortable journey in your quest for food recipes for Diwali 2011!